Including many older documents not available electronically or otherwise accessible, this three-volume set provides the first comprehensive collection of key documents, statements, and testimony on U.S. government counterterrorism policies as they have evolved in the face of the changing terrorist threats. Selected executive and congressional materials highlight the government's diverse policy and program responses to terrorism. The testimony, statements, and documents provide the public articulation and face to the largely important intelligence, law enforcement, preventative security measures, and international cooperation used in the shadowy war against terrorism. Recent entries provide a handy compilation of important post-9/11 materials. For example, useful background information on U.S. actions against Osama bin Laden, the Taliban, and Saddam Hussein and terrorism fundraising. Also included are statements from the Reagan and other administrations that relate to disputes over the appropriate use of force. 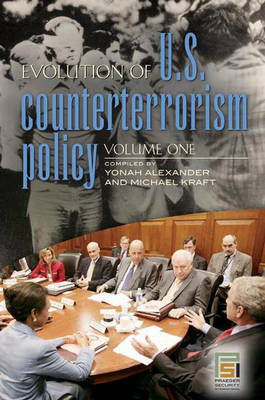 Introductory chapters by Alexander and Kraft provide the historical context and analysis of previous and current U.S. counterterrorism policy including U.S. legislation. For over two centuries, America has faced occasional outbreaks of terrorism, perpetrated by both indigenous and foreign groups. But the spectacular bombing in Oklahoma City in 1995 and the September 11, 2001, attacks seemed to signify a new age, frightening many Americans and destroying their sense of domestic security. In addition, U.S. citizens and interests have been increasingly affected by acts of terrorism abroad. The challenges of terrorism, therefore, have required the United States to develop comprehensive strategies and programs to counter both conventional and unconventional threats, nationally and globally.